Hostel's bar has got a capacity for 90 people,an excellent place to have a party. Note: safety boxes only at the reception, in the hostel as well as international breakfast we also serve Traditional Korean breakfast. But in order to have the Korean breakfast our guests should pay an additional fee. Sinbad Welcomes Travelers From All Round The World ! 1)The best and cheapest way to get the hostel is to take light metro from the airport. Take light metro to 'Aksaray' (last station). Then you must get on tram from 'Yusufpasha' or 'Aksaray' tram station to Sultanahmet. 2)Take 'Havas bus' to 'Aksaray',then take tram to Sultanahmet. 4)Our pick up service costs 40â‚¬.You just email or call us and give your flight details,then we will pick you up to here. 1)Take 'Havas bus' to Taksim square.From Taksim take bus T4 to Sultanahmet or take metro to 'Kabatas' and from 'Kabatas' take tram to Sultanahmet. 2)Take 'Havas bus' to Kadikoy Square,then get on the ferry to 'Eminonu' and take the tram to Sultanahmet. FROM HAREM BUS STATION:Take ferry boat to 'Eminonu' and then tram to Sultanahmet. FROM HAYDARPASHA TRAIN STATION:Take boat to 'Eminonu' and then tram to Sultanahmet. FROM SÄ°RKECÄ° TRAÄ°N STATÄ°ON:Take tram or walk to Sultanahmet.By walk it takes 20 minutes to here (just follow the tram line). 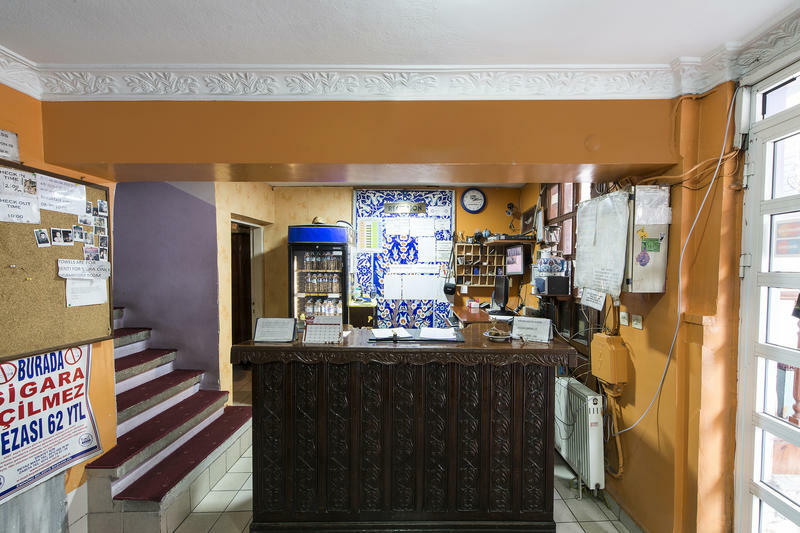 While you are coming to our hostel from airport, train station, otogar (main station) or anywhere, you can face with the people who offer you a better qualified hostel or hotel, with cheaper prices. Even some taxi drivers can suggest you a free transportation for the hotel or hostel that he would like to take you to. We would like you to know that they just think about the commission that they will get from the other hostels that they will take you to.